Size of this preview: 410 × 600 pixels. Other resolutions: 164 × 240 pixels | 850 × 1,243 pixels. From High Score. 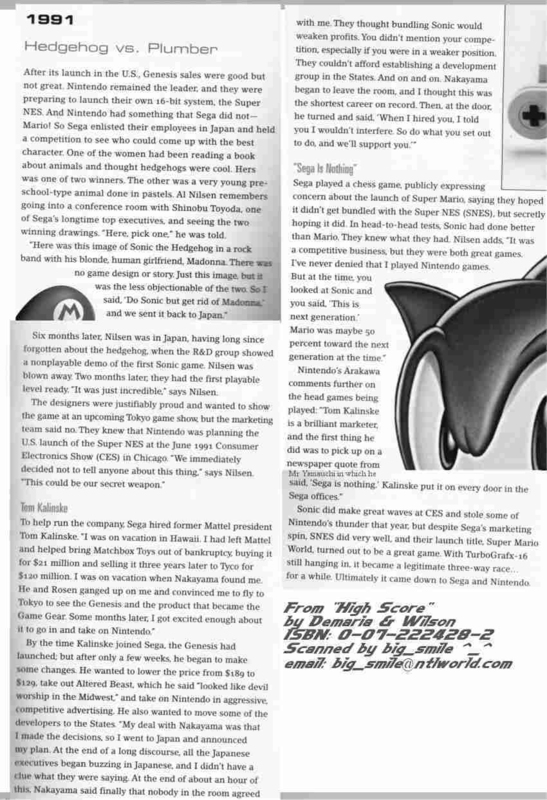 A brief overview of Sega's effort to deflect the impact of Nintendo's release of the Super Famicom. This image is a scan from an unknown magazine, about Sonic the Hedgehog (16-bit). 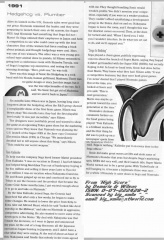 This image is originally from Secrets of Sonic Team. Please support SOST by visiting their website at http://sost.emulationzone.org. This page was last edited on 1 October 2012, at 20:21.